Show Your Local Police That They Have Your Support! 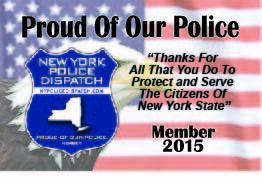 Join the thousands of New Yorker’s that are not afraid to show their support of our Finest with these Membership Cards for your wallet and Police Dispatch Window Decals for your car. We’re Proud of Our Police!